Dry mouth is a paralyzing condition that millions of cannabis enthusiasts fall victim to every year. If you’re a weed-lover that has just taken a pull from a perfectly rolled joint, or exhaled a milky cloud from your favorite glass bong, there is a strong chance that within just moments your mouth will feel like the cracking earth of the sun-pressed Sahara desert. So Herb decided to see how long two cannabis lovers could last before they reached for water. 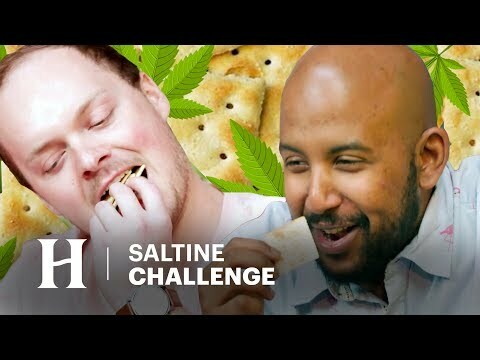 In this episode of Yeah Dude, Why Not our contestants will embark on the Saltine cracker challenge. Who will beat cotton mouth and who will fall to the perilous condition that has claimed the comfort of so many?